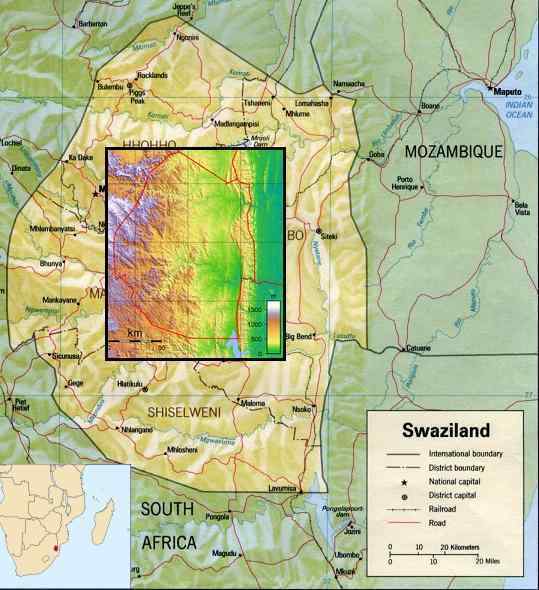 Swaziland is far enough from the coastline and with a high enough elevation that the western 2/3 of the country will do well through both the pole shift tides and the Aftertime rise in sea level to 675 feet above today's elevation. After the pole shift, this small country will find that the ocean front has arrived at its door, so ocean fishing will be an option for the populace. As with most countries who will have a temperate climate in the Aftertime and a location safe from flooding and volcanic ash, Swaziland will find its very desirability to be its greatest worry. People will migrate, deliberately, to this small country and attempt to take it over by force of wealth and brute determination. Those native to this country should examine any offers they get with a sharp eye, for these reasons.